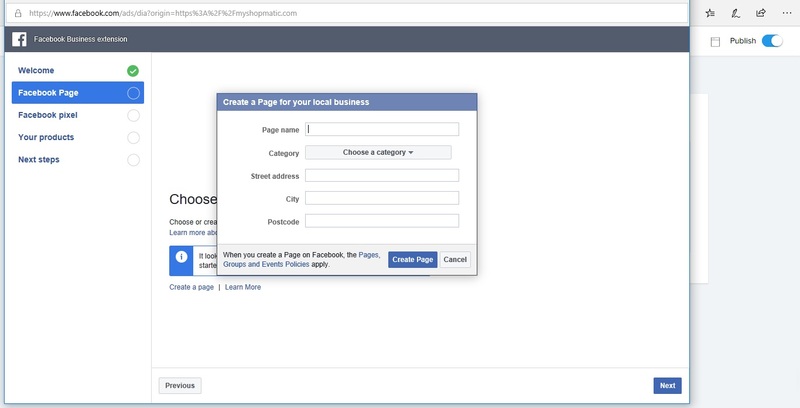 What is Facebook Business Extension? 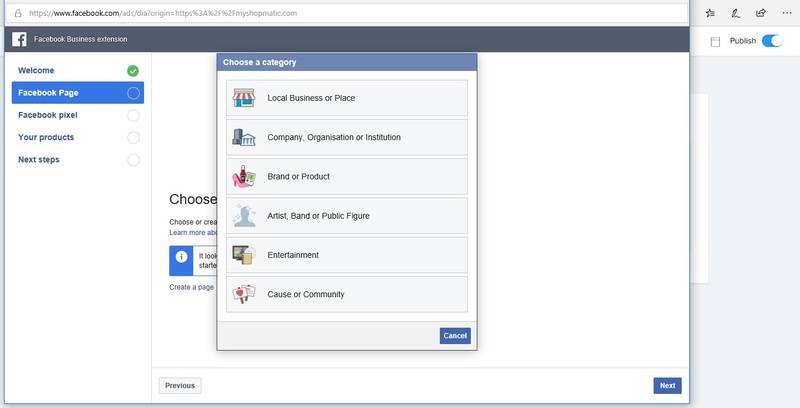 What do I need to set up Facebook Business Extension? 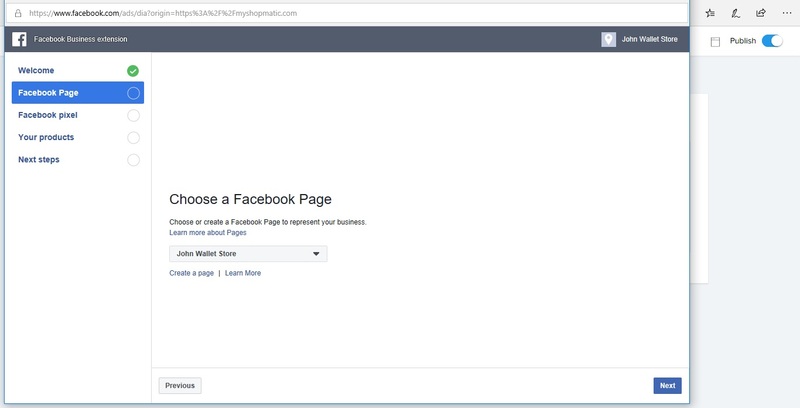 How do I enable Facebook Business Extension? 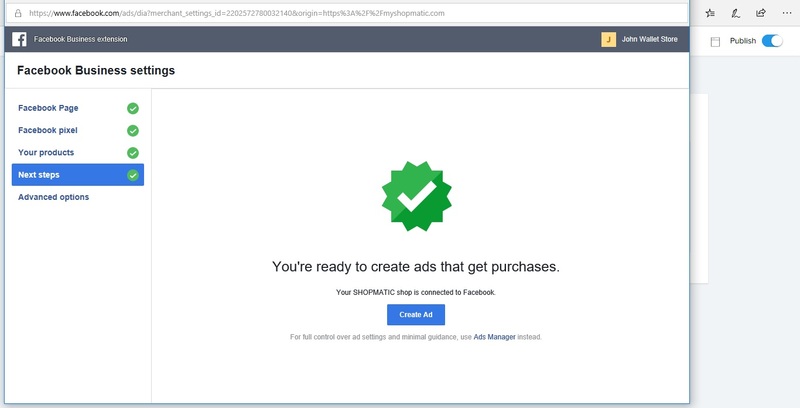 i. Click on the dropdown menu and select the page that you would like to link to your Shopmatic Webstore. 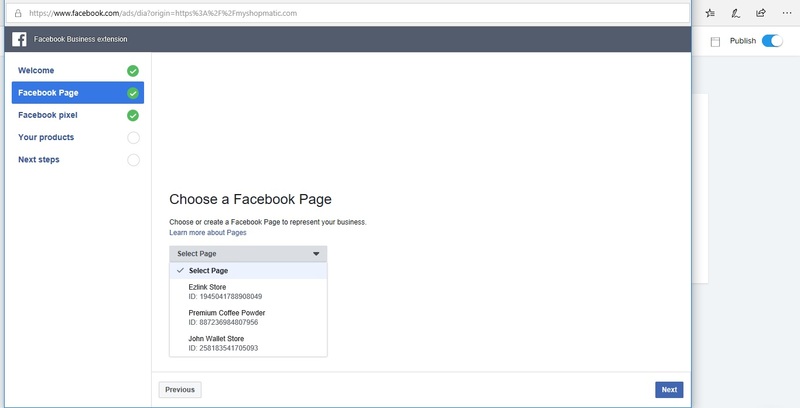 Facebook will automatically pick up your Shopmatic webstore details and install a Facebook Pixel on it. 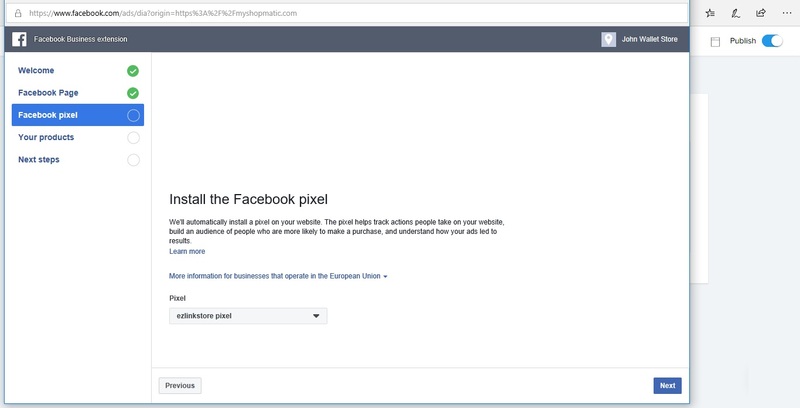 If you already had an existing Facebook Pixel installed on your Shopmatic webstore, then the data will be immediately picked up. ii. Setup complete! Your Facebook Shop will be populated with products from your Shopmatic webstore within 24 hours. 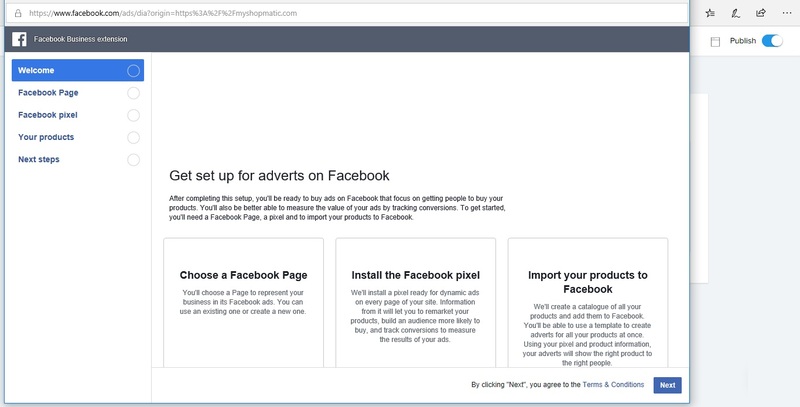 You can also now start to create paid Facebook Ads should you wish to do so. i. 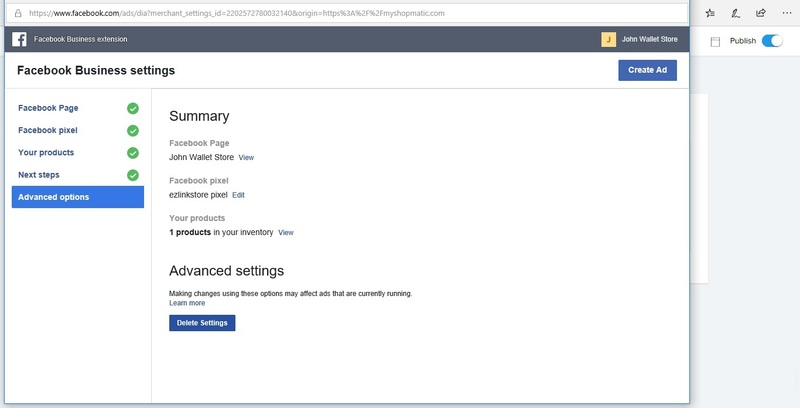 (Important Note) Please ensure that Page shop switch is toggled to “On”. ii. 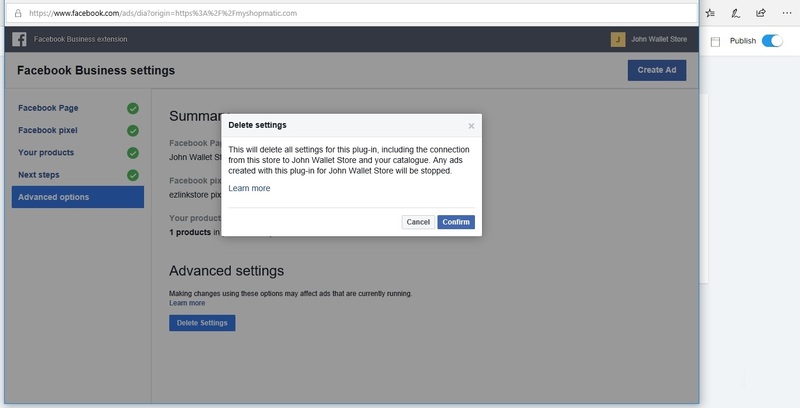 Next, click on Finish. 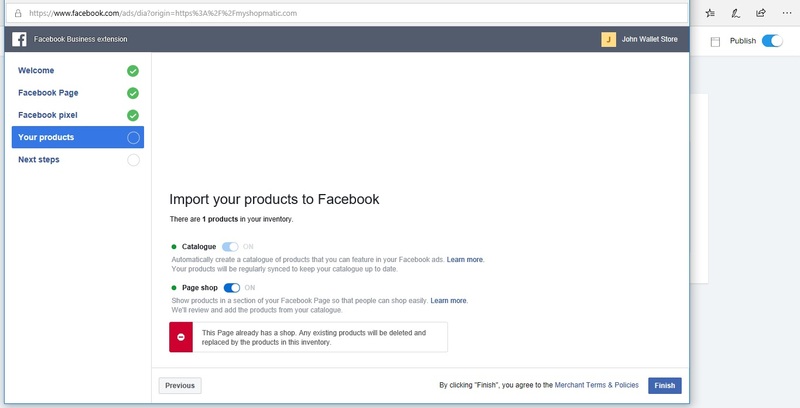 Kindly note that if your existing Facebook Page has a Facebook Shop, any existing products will be deleted and replaced by the products from your Shopmatic webstore. iii. Setup complete! 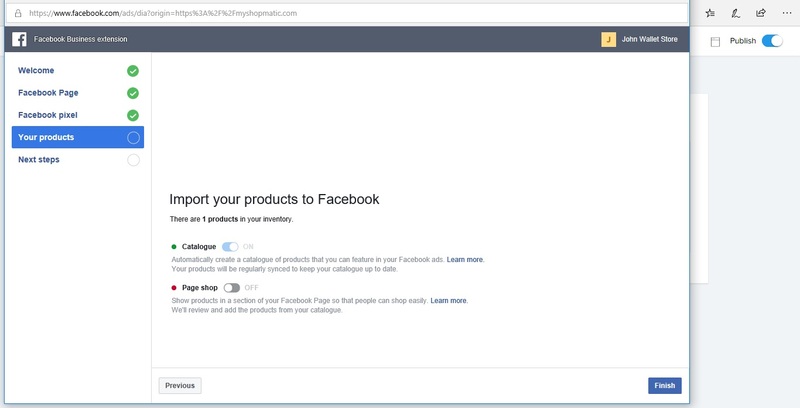 Your Facebook Shop will be populated with products from your Shopmatic webstore within 24 hours. 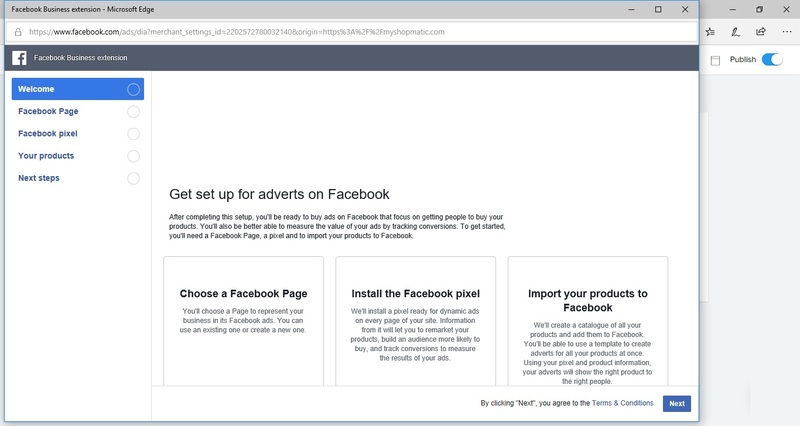 You can now start to create paid Facebook ads should you wish to do so. 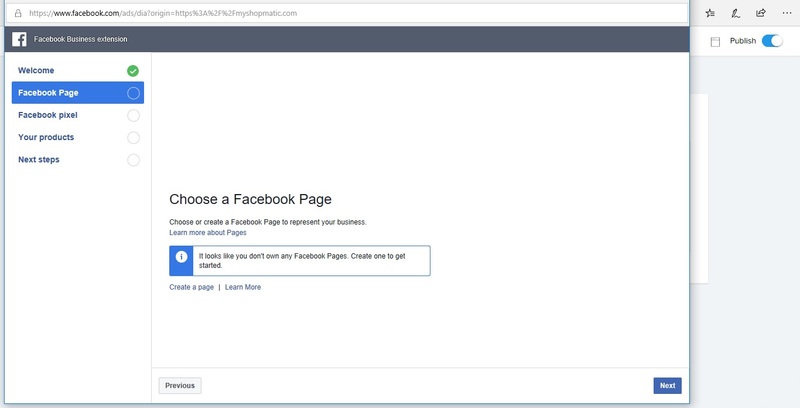 How do I disable Facebook Business Extension? 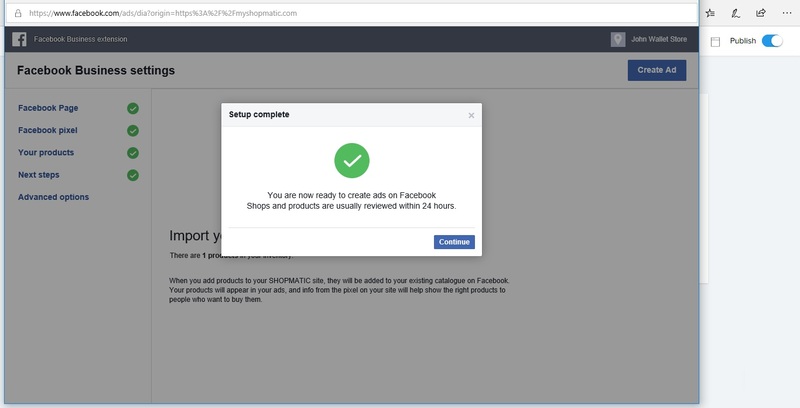 Lastly, remember to log out of your Facebook Profile to complete the Shopmatic Facebook Business Extension disabling process.